Parents of needle-phobic kids can rejoice: the needle-free FluMist flu vaccine is coming back to the U.S. market. 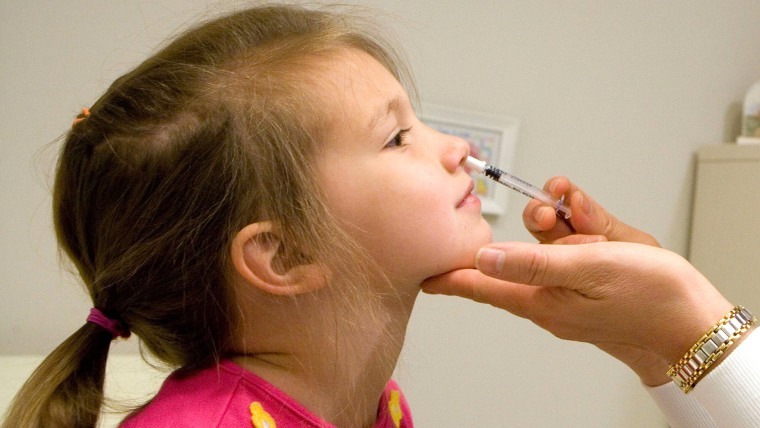 FluMist hasn’t been available in the U.S. since 2016 after vaccine advisers to the federal government removed their support for the nasal spray vaccine. Studies showed it barely worked, especially against the H1N1 flu strain. But the company that makes it, AstraZeneca subsidiary MedImmune, said Wednesday it has reformulated the vaccine and tested it in 200 kids. Their bodies produced immune responses that suggest the vaccine works better now, the company said. The Advisory Committee on Immunization Practices (ACIP), whose decisions guide which vaccines are available on the U.S. market, agreed. The panel voted 12-2 to recommend the vaccine, which never lost its approval from the Food and Drug Administration. But the ACIP panel was not enthusiastic about recommending the vaccine, and changed the language of its recommendation to say that doctors should be able to choose from any licensed flu vaccine. This wording puts FluMist on the “recommended” list, which means insurance companies have to pay for its use, without being a strong endorsement. There are several different formulations of influenza vaccine. FluMist is known as live attenuated influenza vaccine or LAIV. Two panel members said they were worried about hurting children and hurting the public’s perception of the safety of flu vaccines if FluMist comes back on the market and does not work well. But others said they were equally worried that kids are not being vaccinated against flu because the needle-free option is not available, and they noted that FluMist is clearly better than not getting vaccinated at all. It works well against H3N2 flu virus, which has been the dominant virus making people sick during the current severe flu season. This year’s vaccine has not worked terribly well, providing just 36 percent protection against serious influenza infection. The Centers for Disease Control and Prevention recommends that everyone over the age of 6 months get a flu vaccine every year.